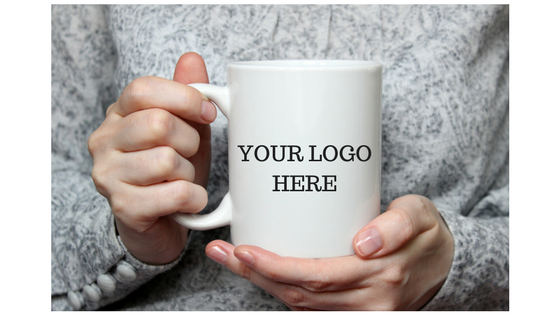 Here’s something I’ve discovered about small business promotional products. 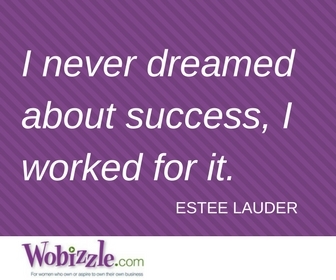 If you can dream it, someone will help you put your logo on it. From the ubiquitous ballpoint pens and coffee mugs to backpacks, cell phone accessories and, wait for it…waffle makers, yes, I said waffle makers, you can slap your business logo on just about anything. But just because you can doesn’t mean that you should. Here are some tips for choosing the best tradeshow giveaway or promotional product for your business. Last Spring, I had an exhibit booth at a regional chamber of commerce conference. In planning my booth, I entered the rabbit hole of researching small business promotional products. Bad idea. I emerged hours later with an overload of ideas swimming in my head. The “triple crown” refers to three important criteria to consider when choosing small business promotional products – affordability, usefulness and connectivity to your business. I had a slim budget, so I definitely needed something that was inexpensive. I wanted to try to squeak by with $150 or less spent on the giveaways. There were about 250 attendees at the conference. I knew not everyone would show up at my booth, but the conference offered vendors with an opportunity to put items in the attendee conference packets. I definitely wanted to take advantage of that. So, I would need at least 300 items – 250 for the packets and 50 extras to have at the booth. With my tiny budget, that was going to work out to about 50 cents per item, not counting a set up fee, which can range from $20-$75 and shipping. That definitely limited my options. Knowing how many unneccessary plastic objects that I have accumulated over years of attending trade shows and conferences, I wanted to choose a promotional product that was useful. I wanted something that conference attendees would use after they returned home, but I didn’t want to just settle for pens or mugs. Finally, it was important that the item related to my business. I was launching a new social media posting service and I wanted a promotional item that would tie back to it somehow. I wanted it to remind attendees of my service when they were using that item back at their home or office. I thought about some of the promotional items that had made an impression on me, like the housecleaning service that used a compressed sponge as a business card, or my friend Christy’s giveaway to market her massage therapy business when she sponsored a charitable event. Mine was a tall order. But as I went back down into that rabbit hole of small business promotional products research, at least I had some criteria to use to make a decision. My booth design was coming together to send a strong message about my new social media posting service. I had already designed and ordered some fun, brightly colored posters. I needed something that would reinforce that theme, and then it occurred to me. What about something that incorporated emojis? A few Google searches later and I found my item – emoji buttons! I was able to print two different versions and put my website address on the rim of the buttons. At 22 cents per button, a coupon code for free shipping and a production process that did not require a set up fee, they were my triple crown. I ordered 325 for $77.75. 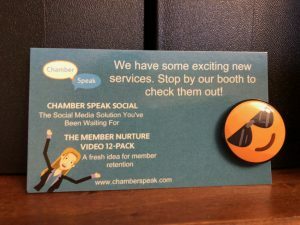 With the money left in my budget, I was able to print 250 business card-sized promo cards that encouraged attendees to stop by my booth to check out the new social media solution. I pinned the buttons that were to go in the attendee packets to those cards. Voila! It was a fun, memorable and inexpensive promotion. They were a hit! Attendees were wearing the buttons and coming back for more. My booth traffic was awesome. Bottom line – when you are considering investing in small business promotional products, keep in mind that you don’t want to spend money on something just to give it away. It needs to serve you as a valuable marketing tool. 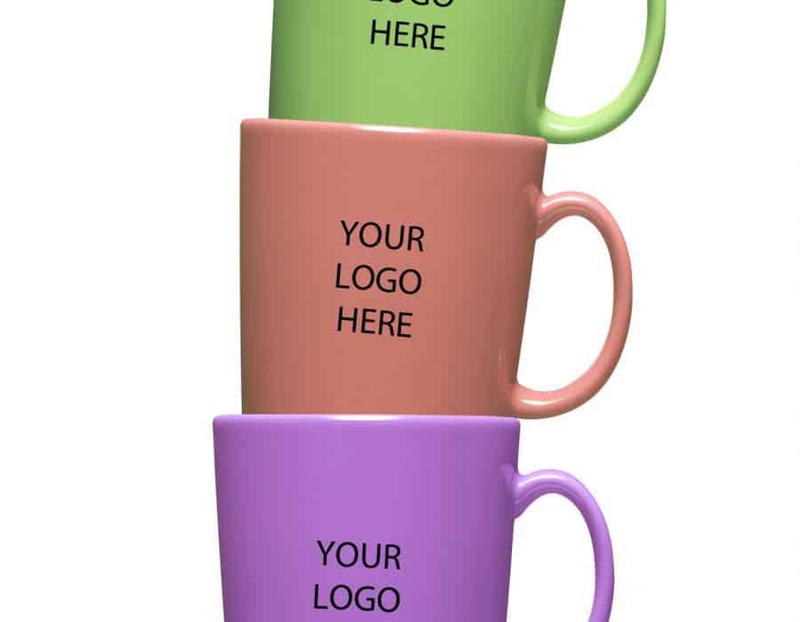 Use the “triple crown” criteria to put your promotional products to work for you.